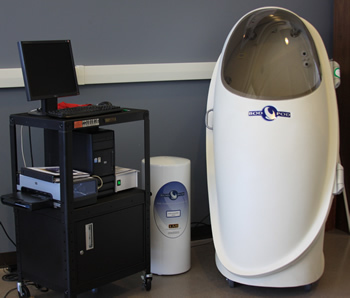 The BodPod is useful in body composition analysis. This device works by having an individual sit inside the chamber for about 5 minutes while the device uses Air Displacement Plethysmography to determine the volume of the subject. The volume is then compared to the individuals weight to calculate the density and percent fat /fat-free mass.